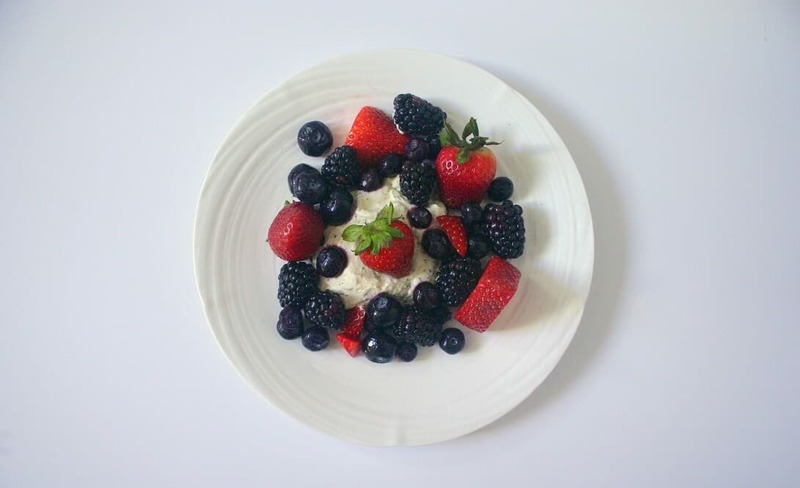 this berry eton mess has some corn too, because why not?! it’s summer. let me re-phrase that: i started a full-time job last week. i still live at home and i received my horizontal license a bare few months ago, so i’m not an adult yet. but more of an adult than i’ve ever been. typical mind-numbing first week things occurred (all the hr orientations WAIT NOPE there’s more scheduled for the next month!!!) while i adjusted to commuting for 4 hours a day. and yet. the people are cool, the perks are cooler, and i can’t wait to actually start doing my job. in honor of my first real job, here’s some berry eton mess! 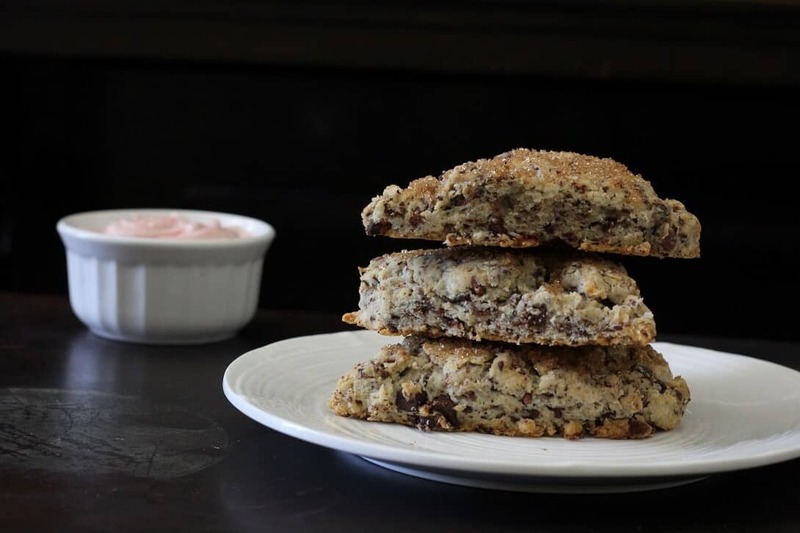 i was into the crispy creamy vibe of the coffee merveilleux i had when i was in paris a few weeks ago, and wanted to re-create those textures without having to construct a mountain of whipped cream and meringue rubble. so i turned to eton mess, the more relaxed british cousin. there’s juicy blueberries and crunchy corn to go along with the aforementioned whipped cream and meringues. the meringues can get a bit sweet, so i like folding a little bit of greek yogurt into the whipped cream to add tang into the dessert. it’s easy and tasty and is bound to be good no matter what kind of summer fruit you use. This berry eton mess is a take on the British dessert eton mess (meringues + whipped cream + fruit), with some sauteed corn for good measure. In a large, clean bowl, whip the egg whites and a pinch of salt until soft peaks form. Gradually sprinkle in the sugar, then whip until stiff peaks form. On a parchment-lined baking sheet, place 4 blobs of the meringue spaced a few inches from each other. Spread the blobs until they’re 4” in diameter. Bake at 225F for 2 hours or until crisp and dry. Let cool in a turned off oven overnight. In a saute pan, heat some oil over medium heat. Add the corn and saute for 5-10 minutes, or until the corn loses its starchy taste. Cool completely. In a medium bowl, add the blueberries, sugar, a splash of water and a pinch of salt. Microwave 30-60 seconds, or until the blueberries are juicy and soft. Crush some of the blueberries until they’re broken down slightly. Cool completely. In a medium bowl, whip the cream until soft peaks form. Fold in the yogurt. Crush the meringues with your hands into small bits. 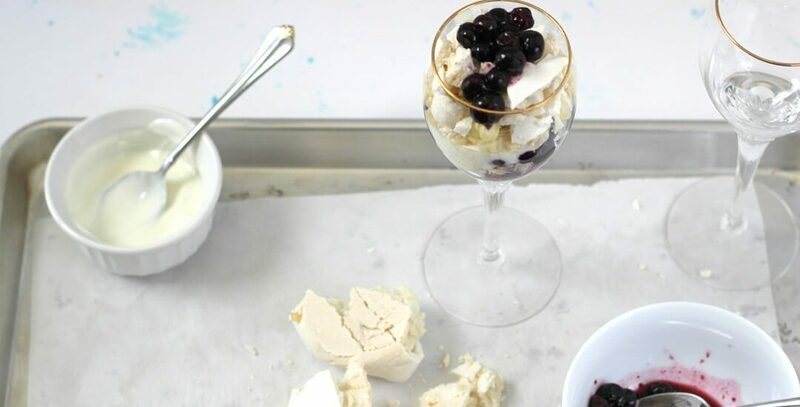 For a layered look: layer the whipped cream, corn, meringues and blueberries in 8 glasses. For the more authentic, less classy presentation: mix everything together, then divide into 8 bowls or glasses. Loosely based on this version from The New York Times. I like to wipe my bowl with a touch of white vinegar before I whip egg whites to make sure that the bowl isn't greasy (and the whites have a better chance of whipping up). I love the fruit toppings. This is perfect for summer! Oh my, Heather, this looks and sounds fabulous! 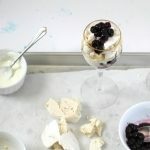 I love Eton Mess and am anxious to try this – the sweet corn addition is brilliant! Will pin for later! i had to use corn- it’s so crunchy and sweet and fresh this time of year that it’s so fun to add it to desserts. Adulting is the worst, right? Hahahaha, so happy you’re rocking it at your new job. But holy cow, you commute 4 hours per day? Thank goodness you’re getting the perks! If I commuted 4 hours per day you best believe I would crave this eton mess on the regular! It looks crazy amazing!! haha i drive to a caltrain station and then caltrain and then bus/walk to work so luckily i don’t have to deal with traffic and can sleep for part of it! Congratulations on the job, this eton mess sounds great. Never thought of adding corn before! Congratulations on your job! 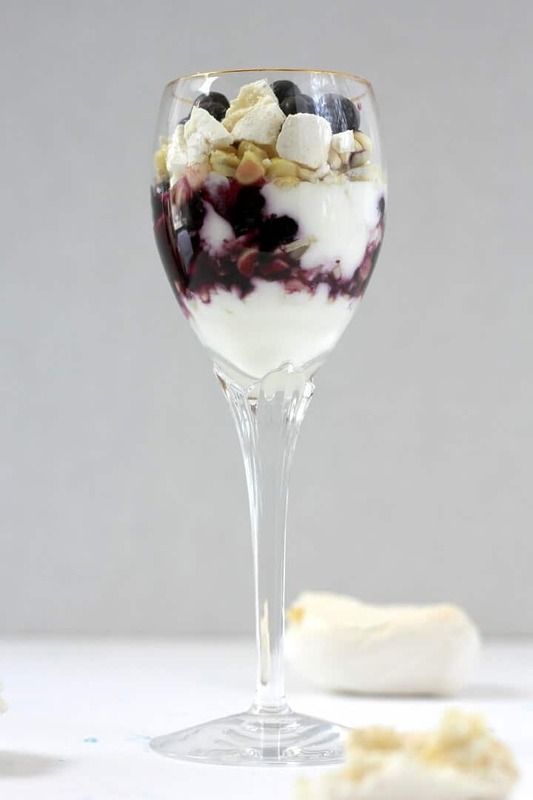 This berry eton mess is a great way to celebrate! Nice touch adding the corn! Congratulations on the new job, Heather!! I’m glad you have come to terms with a 4 hour commute. I could never do that…I would be nodding off at the wheel for sure. I love this Eton Mess! I like the touch of tang you have added with the yogurt to offset the sweetness! haha good thing 3/4 of my commute is public transport- then i can just sleep (; and yes, the yogurt works well because the meringues can be a bit sweet! Congrats on your new job! What a fantastic dessert to make to celebrate! MAJOR congrats to you for starting a full-time job! Hey, we all have to start somewhere and holy crap, commuting for 4 hours a day???? That’s extreme! Hopefully you’ll manage and learn a lot on the job :). Your dessert looks delicious! Great way to celebrate :). New jobs are so exciting! I hope you’re liking it and having fun. thanks! yes, all the berries (; you better believe whenever we get a shipment of fruit to work, everyone hoards (there’s berries and avocados and peaches at peoples’ desks lol).